At Neustaedter’s Fine Jewelry, we hear this question often when someone comes in to look at Diamond jewelry, especially an engagement ring. The question does not surprise us anymore. If you do some market research, the answer is “no” for 99 percent of the diamonds sold today. If you are looking for an investment that will appreciate and give you a good return on investment, diamonds are at the bottom of the list. Most diamonds are not purchased with this intent. Diamonds are given as symbols of love, like the phrase” A diamond is forever” is meant to show one’s love and commitment. A piece of diamond jewelry says “You are very special to me”. Stocks, bonds and commodities are investments, and traded most often publicly on exchanges. Those are given with no emotional content attached. What Kinds of Diamonds Are Investment Worthy? For a diamond to be a true “investment” it must be unique and special. The best examples today would be the mined fancy color diamonds like pinks, reds, blues and purples. To even get into this market, be prepared to see prices starting at high six figures. And these diamonds are most often not worn, but put in safes where they can not be lost, stolen or damaged. The traditional engagement ring diamond does not fit into this class. Will A Diamond Hold Its Value? “Will this diamond hold its value?” is something I hear often. If you go into a store with the expectation that you are going to want to upsize or change the diamond at a later date, this should be explored at the time of purchase. Most reputable companies have procedures that allow a customer to trade their diamond in at a later date. Some stores require you to spend twice what you paid for the initial diamond, others require a 1.5X purchase. Some have no trade in-trade up policy at all. At Neustaedter’s Fine Jewelry, we believe in selling quality. We are willing to take back any of our diamonds in trade to upgrade. There are no percentage requirements. 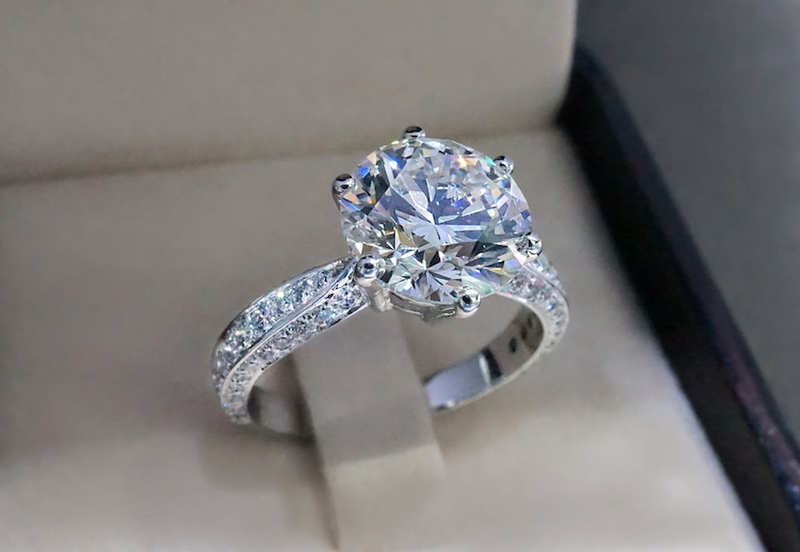 Because we sell high quality diamonds, we know there is always a market for them. If a person bought a mined diamond and spent $3000.00 on it, that is what we give them in trade in the future for another mined diamond. How Do Lab Grown Diamonds Compare? “How about trades on a Lab Grown diamond?”. The same process applies there. We will give the customer what they paid for the diamond in a future trade on another Lab grown diamond. Because we are willing to do this, it shows we stand behind the quality and longevity of the diamond we sold to you. So, in short, “Yes”, the mined and lab grown diamonds hold their value for the purpose that they were originally purchased, to celebrate a very special occasion. What is the Real Value? You never have to worry about losing money on your diamond. We have customers that are wearing diamonds that were purchased as engagement rings generations ago. The history and sentimental value of these family diamonds is priceless. You can see this in the owner’s face as they describe how the diamond has traveled from their grandmother to their mom to the new bride. A dollar value can never describe these feelings and the family heritage that they carry. To be fair, you have to ask yourself, “Why am I buying this diamond?”. If it is because you are giving a symbol that comes from your heart to theirs, the investment issue does not even come up.